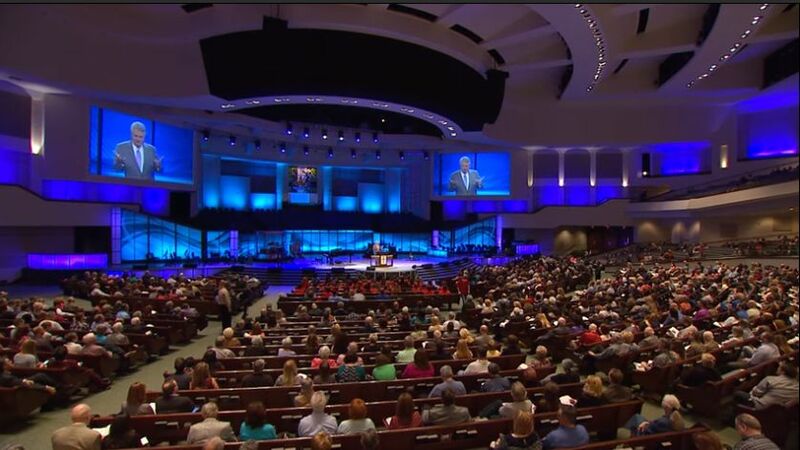 PLANO, Texas — Despite the mass outcry to outlaw abortion in Texas and grant the unborn equal protection under the law, megachurch pastor and former Southern Baptist Convention President Jack Graham has praised his church member and Republican House Chairman Jeff Leach after he decided that he could not support House Bill 896 because it subjects women who “undergo abortions” to “criminal liability.” Leach’s rejection of the bill, which would have protected babies in the womb in the same manner as newborns, has left many stunned, hurt and angry, with some vowing to vote him out of office. “My pastor and friend, Jack Graham, pastor of Prestonwood and former SBC Baptist president, is strongly in support of my position,” Leach, chairman of the House Committee on Judiciary and Civil Jurisprudence, wrote in response to a social media post on Thursday. As previously reported, Graham retweeted Leach’s statement on House Bill 896 Wednesday night, standing behind the chairman’s opposition to charging mothers who seek out others to illegally kill their child if abortion became unlawful in the state. “I support @leachfortexas 1000 percent. He is a caring and courageous congressman who is leading Texas citizens with grace and truth,” he wrote. “My commitment to advancing the pro-life cause is stronger than ever, and that’s why I cannot in good conscience support House Bill 896 — legislation that subjects women who undergo abortions to criminal liability and even the possibility of the death penalty,” Leach wrote. “Trusted pro-life legislators and advocates agree with me that this bill moves our state and the pro-life cause in the wrong direction and it will not be advanced from the House Committee on Judiciary and Civil Jurisprudence,” he stated. Leach had asserted during a public hearing on Monday that continued well into the night — as hundreds of residents flocked to the capitol in support of the bill — that women who are driven to abortion facilities by pimps would be charged with a crime. “[U]nder the bill, a woman who is coerced and trafficked and driven by her pimp to an abortion clinic without a cell phone, with no freedom whatsoever, and is walked into an abortion clinic and said, ‘You will get an abortion,’ [she would be charged],” he claimed. “For a woman who is coerced into having an abortion … The text of the bill is very clear: A woman who ends the life, which is recognized under this bill, is … potentially liable for capital murder,” Leach stated. However, Leach retained his position that it would not be right for the woman to be criminalized, although it is not clear whether he solely has concerns over charging women who have an abortionist commit the act, or if he also disagrees with criminalizing self-abortions. He shared two other tweets of support from stated pro-life groups that likewise oppose charging the mother. “I do not support Texas #HB896, as it imposes a criminal penalty on women who get abortions. In my experience, many women get abortions out of fear, coercion, misinformation, or desperate circumstances. Women need compassionate and immediate care, not jail. #TXlege,” wrote Brian Fisher of Human Coalition. “We agree with Chairman Jeff Leach 100%, and we thank him for his leadership. Women were NEVER prosecuted for abortion in Texas or in any other state before Roe. Not right to start now. We need to focus on stopping abortion doctors, not prison cells for women,” also remarked the Texas Alliance for Life. However, others disagree that women should face no consequences surrounding the death of an unborn child. “It’s not graceful to say abortion is murder and then turn right around and demand that an exemption from punishment be granted to the murderer. That would literally be delusional,” wrote Polk County GOP in response to Leach’s post. Since 1973, 60 million children and counting been aborted in the United States. Out of the seven justices on the U.S. Supreme Court that ruled in favor of Roe, five were Republican-appointed.